Trimcraft's First Edition "Botanical Beauty" paper pads have a wonderful combination of lush leafy patterns, tropical flowers and metallic geometric designs. 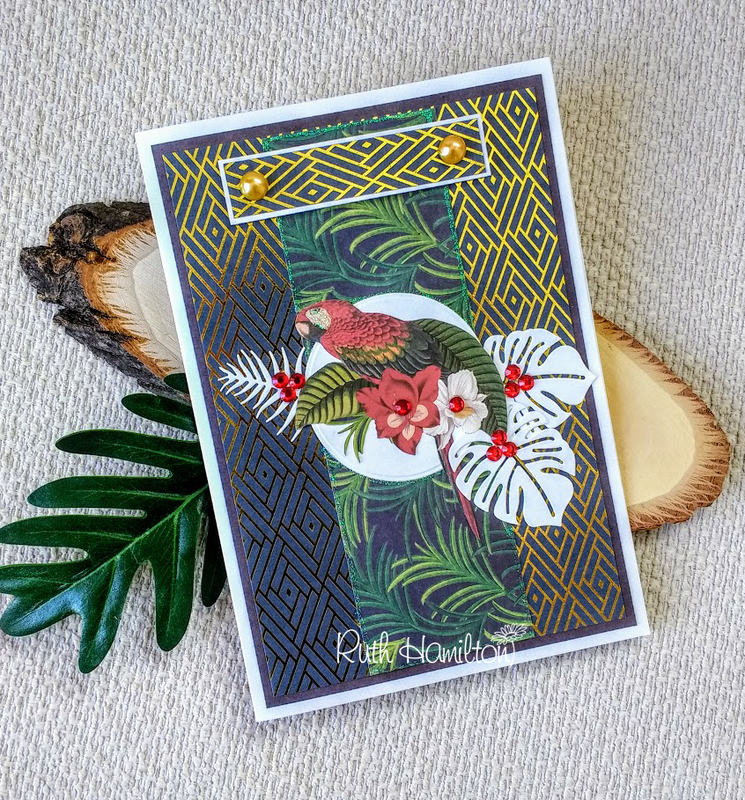 The First Edition Tropical Themed dies complement them perfectly. 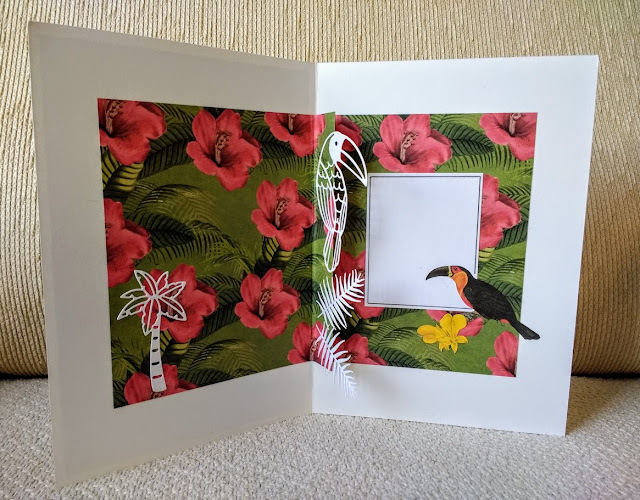 I have used these together to create a card which has a little pop out element on the inside. 1. 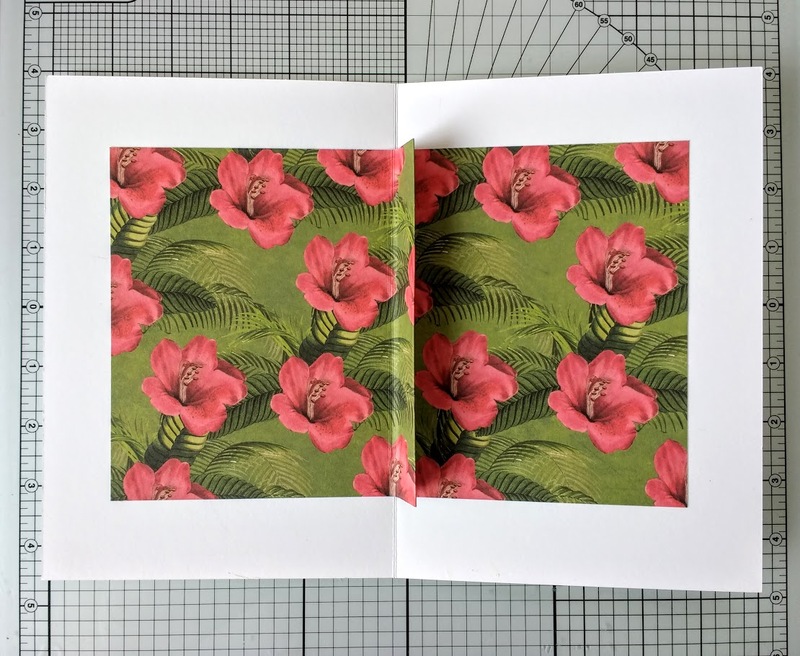 Score and fold an A4 piece of white card in half on the long side. Cut a piece of patterned paper to measure 28cm x 15cm. On the long side score and fold this as shown at 12cm 14cm and 16cm. 2. 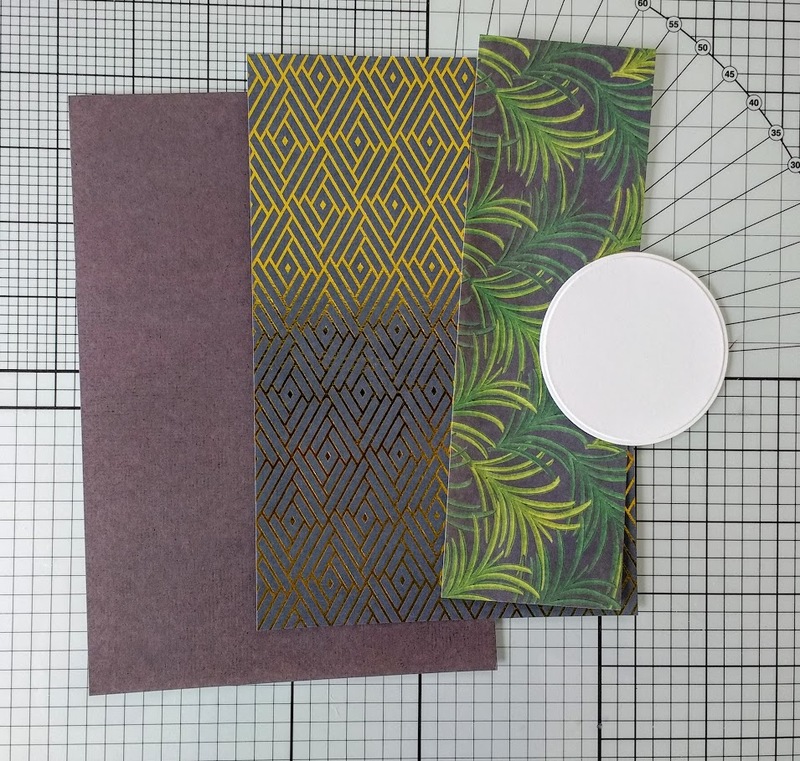 Turn the patterned paper over and add double sided tape as shown. 3. 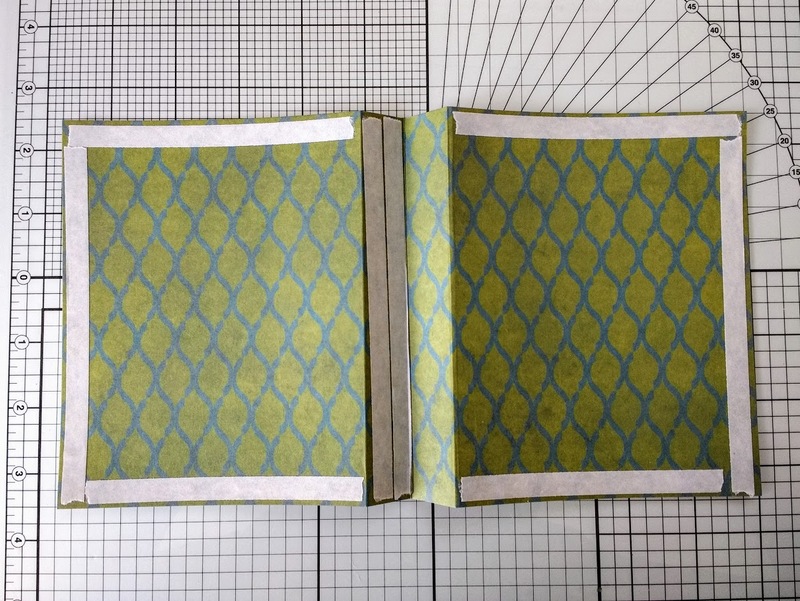 Remove the backing strips in the centre and press together. 4. 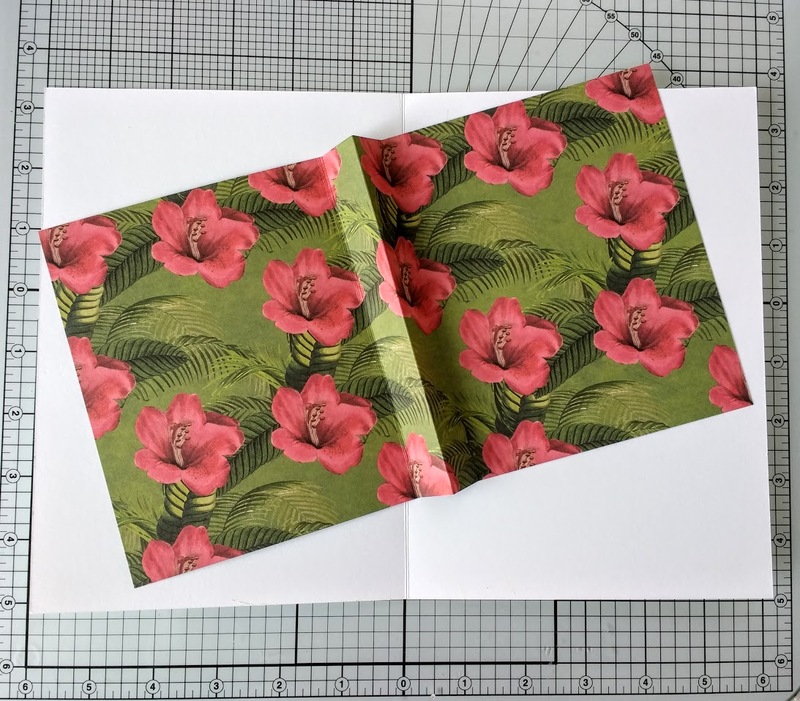 Next, remove the rest of the backing strips and adhere the folded paper in the centre of the card. 5. 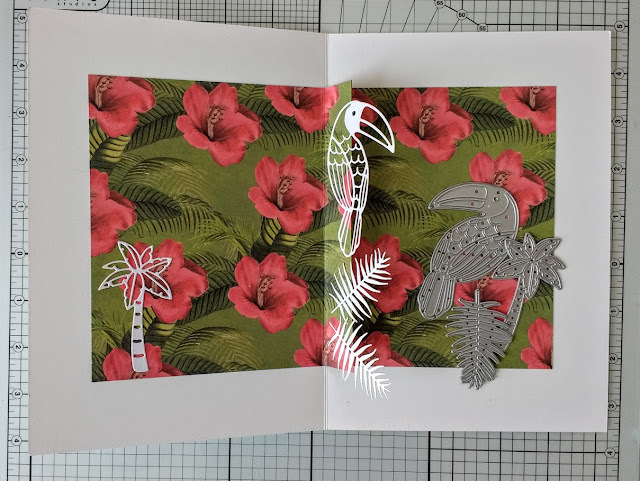 Die cut the toucan, palm tree and two frond palm leaves from white card and glue to the paper as shown. 6. 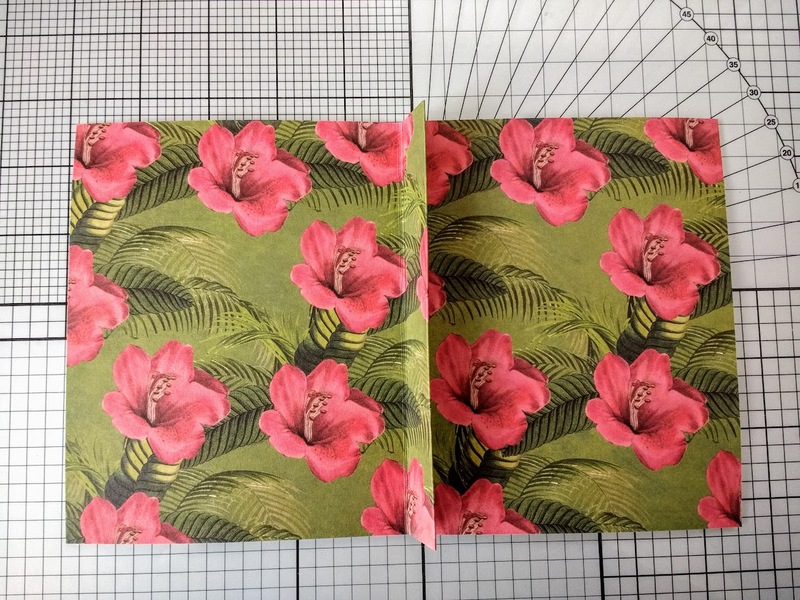 Cut a 6.5cm x 8cm rectangle of white card and glue in the centre of the right side. 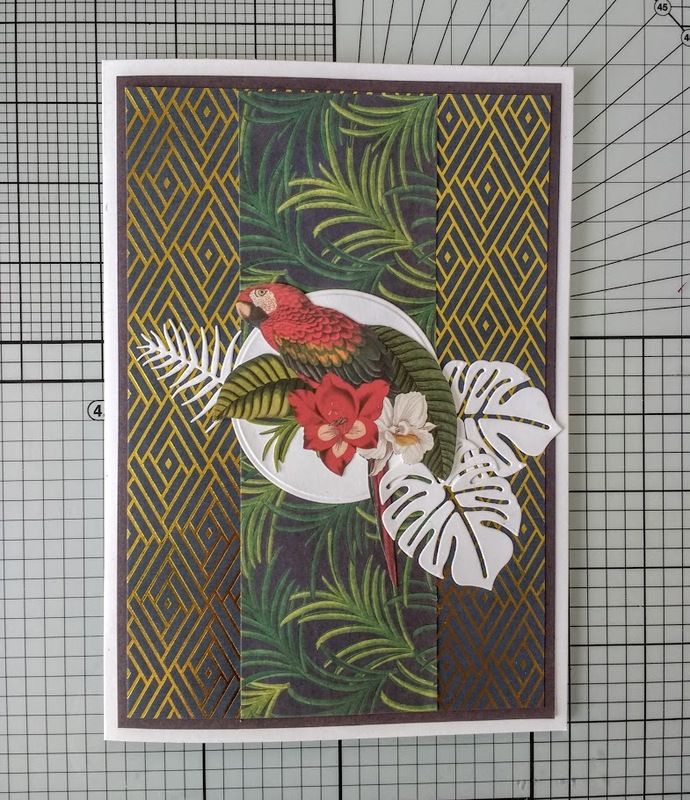 Cut a toucan from the patterned paper and glue to the card as shown. Draw a fine black line around the edges of the white card. 7. Cut three pieces of patterned paper from the pad for the front of the card. Measurements from left to right are - 14cm x 20.25cm, 13.5cm x 19.75cm and 6.5cm x 19.75cm. Cut out a 7cm diameter circle of white card. 8. Layer the pieces of paper onto each other and glue to the front of the card. Die cut two large white leaves and one palm leaf. Tuck in behind the white circle and glue in place. 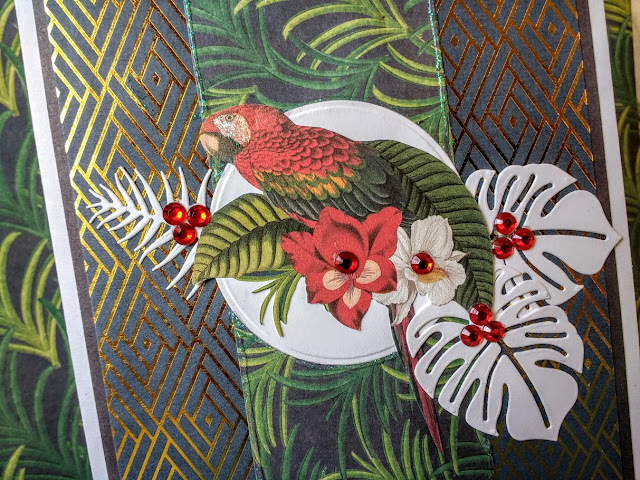 Cut out a parrot from the paper pad and glue on top. 9. Add 10mm Simply Creative gems to the leaves and flowers and a fine line of glitter glue around the edges of the palm frond paper strip and the white circle. 10. Glue a 9cm x 2cm strip of gold patterned paper to a 9.5cm x 2.5cm strip of white card and attach across the leaf panel with 3D foam squares. Add a 10mm pearl at each side.